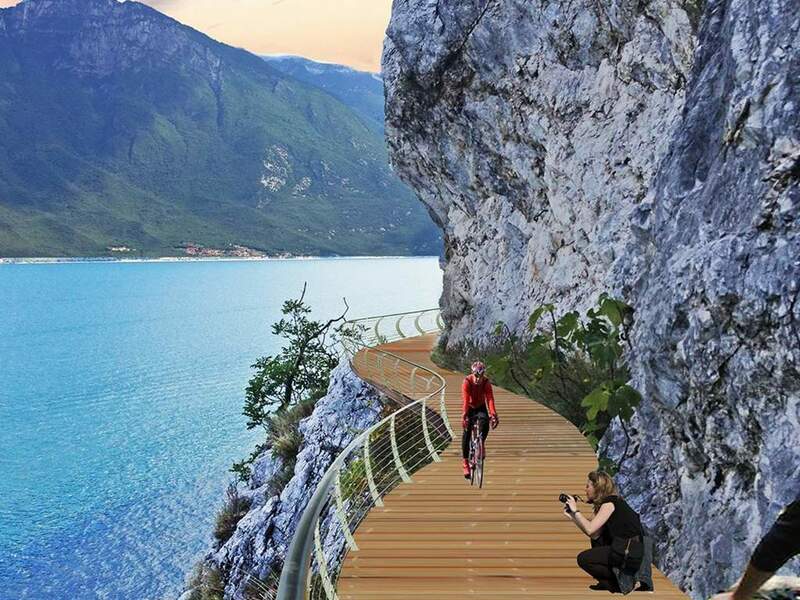 By 2021, the completion of a 140 km cycle path around Lake Garda is planned. For the ambitious project Garda by Bike, partially existing bike paths will be used and additionally new tracks will be built. 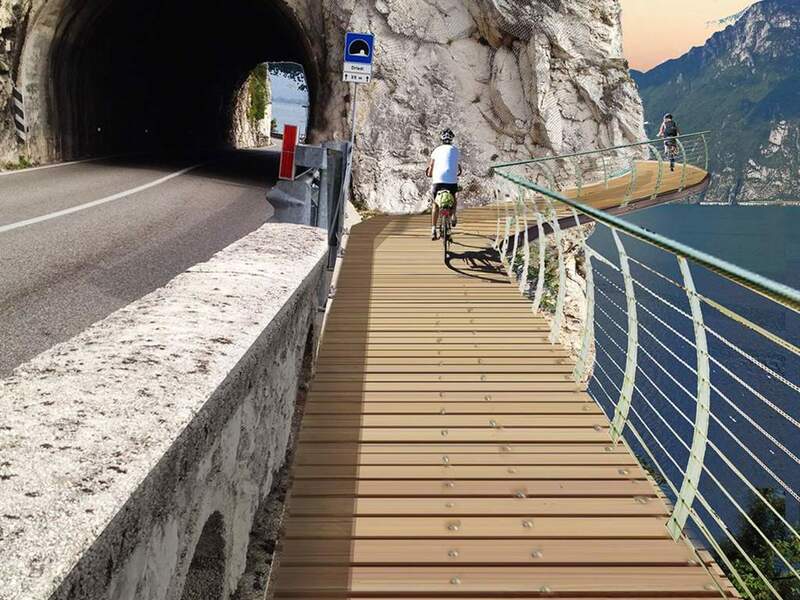 The circumnavigation of Lake Garda on one continuous bike path is the realisation of a bikers dream, and it's getting closer. 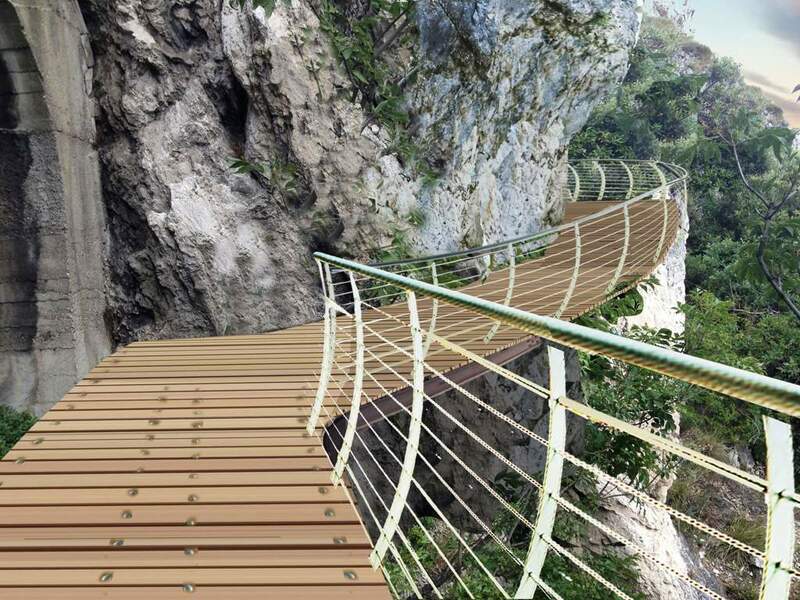 On July 14, 2018, a particularly beautiful section was opened. 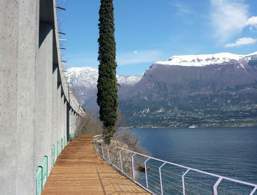 An approximately 2 km bike path leads from Capo Reamol in Limone sul Garda on the west coast in north direction. 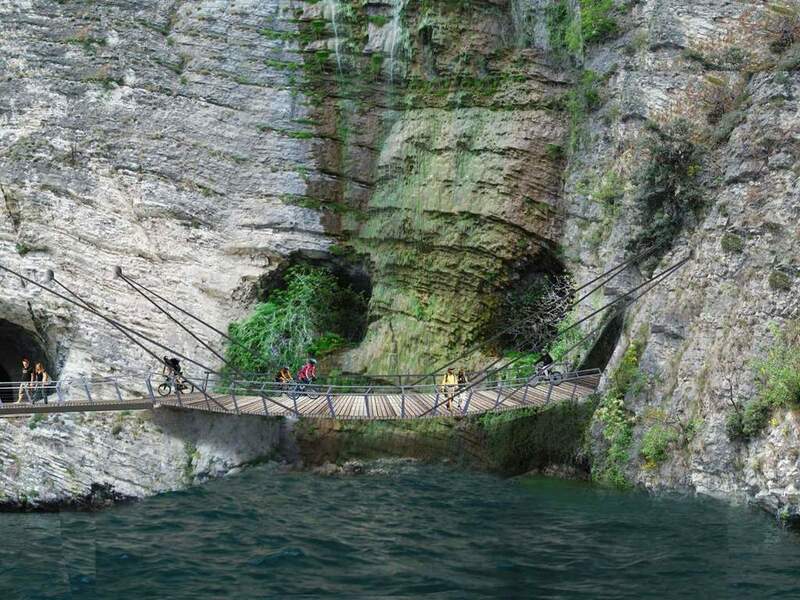 It is partly built close to rugged cliffs and also above the water and therefore gives fantastic views. However, it does not already reach Riva del Garda. 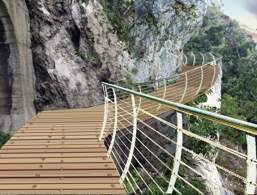 The new bike path is wide and suitable for families as there are no steep climbs and the bridge sections are well secured. The bike path is paved with planks of wood and is comfortable for all types of bikes. 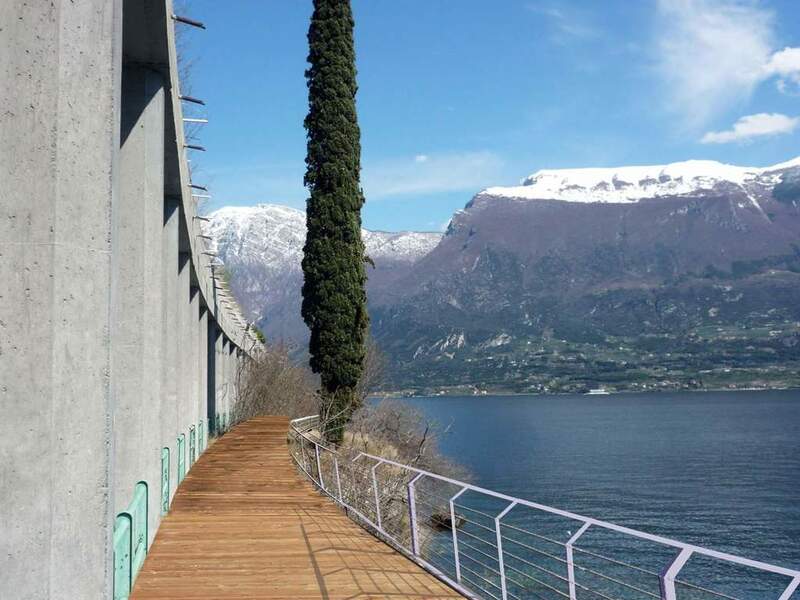 It impresses not only cyclists but also pedestrians with scenic beauty, and architectural elegance. 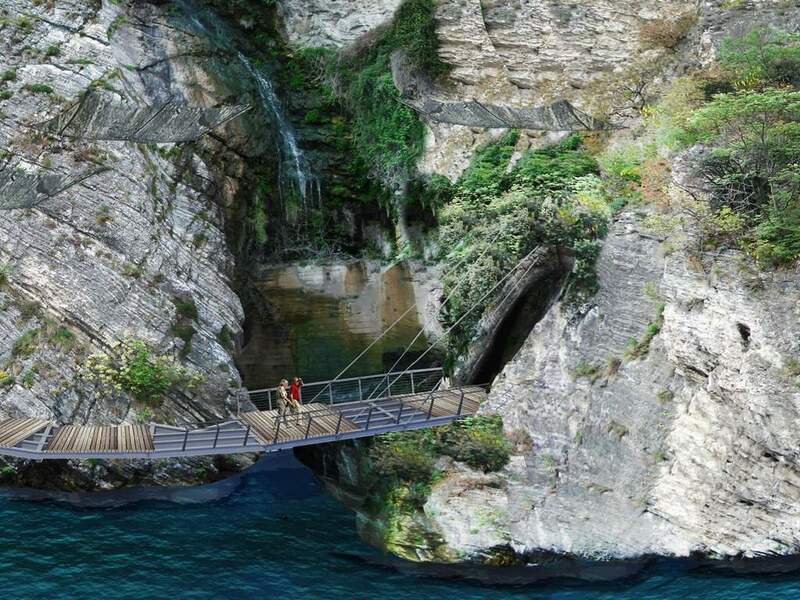 Athletes and nature lovers can look forward to a new holiday highlight at Lake Garda. 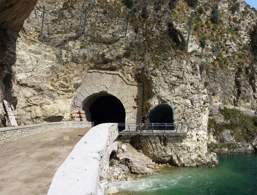 The Garda by Bike project involves the regions of Lombardy and Veneto, as well as the province of Trento. 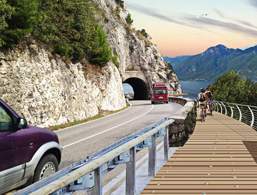 Links to European cycle routes such as Eurovelo Route 7 and Eurovelo Route 8 are also planned. The Garda by Bike cycle path will at the end have a length of 140 km, go around Lake Garda and be completed in 2021. Partial tracks are already open. 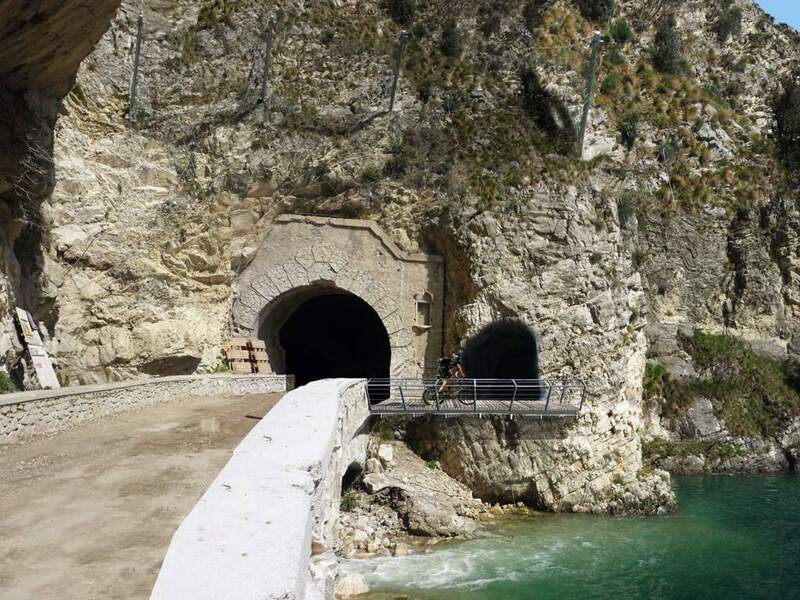 The track between Riva and Limone is spectacular.